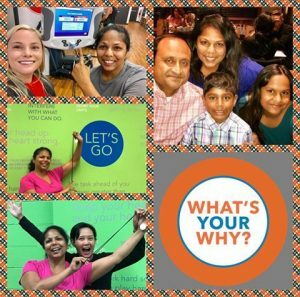 Koko FitClub of Glenview – Individualized fitness and nutrition with digital 1:1 coaching. "Our KokoNut Joyce is on a mission this year to run three half marathons. She shares with us why she chose Koko. “I’ve had personal trainers in the past because I knew strength training would help me be a better runner. As I began my training this year, I noticed my core was not as strong and it was impacting my running. After seeing an ad for Koko Fit Club, I decided to give it a try. Having access to the club anytime and having a coach motivate me and help me exercise with correct form appealed to me. I enjoy the great cardio workout while listening to Michael Wood tell me stories and tips to improve my health. 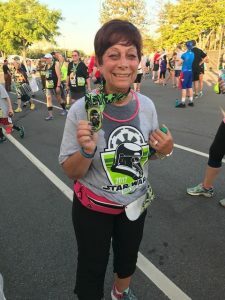 Koko is a great fit to meet my lifestyle and fitness goals.” Certified KokoNut Joyce 💪🏼🏃🏽‍♀️❤️ "
"“My favorite part of Koko is the friendliness of the environment. I know most of the team by name, and the personal interactions make it an enjoyable experience every time. 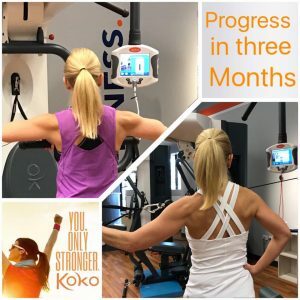 Koko gives me a mix of personal training and documented programs to follow. I can work through a session without rotating to different stations in the gym. Koko is different because of the multiple tiers of support and encouragement. I enjoy the people, coaching, and appreciate the goal setting, goal tracking, and the workout lectures available during cardio. Koko works for me because I wanted to be better, stronger and faster. But I don’t have six million dollars so Koko is helping me reach my goals at a fraction of the cost.” Jerry Certified KokoNut "
"KokoNut Lisa shares why Koko is a perfect fit for her. “My Koko FitClub is a place where I feel welcome, with friendly and helpful staff and clean, spacious workout areas. The audio coaching that accompanies the 15-17 minute High intensity interval cardio programs help me get through the tough parts and are sprinkled with motivation, tips on fitness, diet, and living a healthy lifestyle. My favorite is the smart training workouts since weight machines usually confound me with their vague instructions and tiny diagrams. The Smart trainers guides me through each session with variations on exercises, weight, and pace that is customized to me and make each session progressively different to match my goals and capability. No strength training session is ever the same. Koko FitClub’s flexible hours allows me to introduce a fitness program that works around my schedule where I also feel comfortable and supported.” Certified KokoNut Lisa M "
"“Koko is one more wonderful path of opportunity that we share together after 23 years of marriage. It is the ultimate test of selflessness. 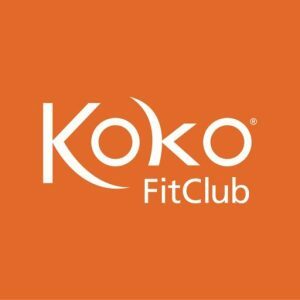 After years of unsuccessful attempts to improve fitness and healthy habits, we discovered Koko FitClub has met the needs for both of us. 24 hour access allows us to pursue fitness at our convenience and it is easy to stay on track! Koko drives a common thread of togetherness and well being inside our marriage. It creates healthy time together and common goals we encourage one another to reach. 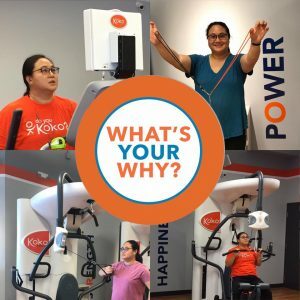 We celebrate our accomplishments and pick each other up when we are struggling or too lazy for a workout!” – Joanne & Larry, Certfied #KokoNuts "
"“Koko is helping me get “me” back. I have become fitter and gained strength and confidence that I can be healthy again! 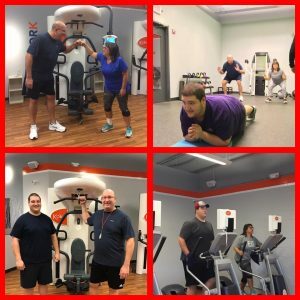 My coaches help me stay focused and encourage me to keep going to achieve my fitness goals. My kids are loving the small changes they are noticing.” "
"“Thank you to Koko Fitclub in Glenview. I went for my stress test today and I much better off than I was last year thanks for the help. I am much happier at a smaller club like Koko where everyone knows you and you feel like you are coming home”. " 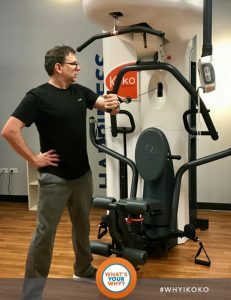 "” I joined Koko FitClub because I needed the flexibility of being able to come in anytime, and I like the high tech way they can program the machines to help you reach your fitness goals. I also knew I wanted a program that combined cardio and weights with some personal training to keep you on track. The Koko coaches are wonderful, and I get a great vibe when I walk into the club.” Jill – Certified KokoNut "